Marvel has heard your complaints about MCU films being scored with boring, forgettable soundtracks, and will be calling your bluff shortly. 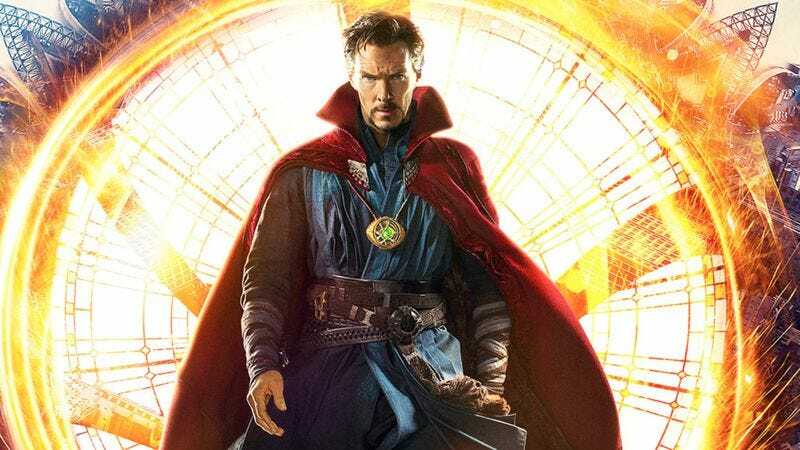 Io9 brings word that Marvel has just released the end-credits track for Doctor Strange, composed by Michael Giacchino (Lost, Rogue One). “The Master Of The Mystic”defies neat definitions, presumably by design. You could say that it sounds like a Tangerine Dream deep cut smashed into Vivaldi’s “Winter Largo.” Or maybe it’s easier to just to say it’s exactly the type of music you’d expect coming from the earbuds of somebody sashaying down Fifth Avenue in a high-collared, red velvet cloak, potato-sized amulet, and layered tunic. However you wish to describe this refreshingly eclectic sample track, you can listen to the rest when the album becomes available for purchase and streaming on October 21—or on November 4, when Doctor Strange teleports himself into theaters.